As an emerging leader in the heating and air industry, our mission was made clear from the beginning; we respect our clients, and strive to achieve maximum value, quality, efficiency while providing unsurpassed customer service. Family-owned-and-operated Blades HVAC Services Inc has a tradition of meeting customer needs. 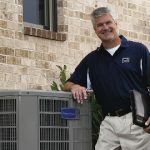 From the most complex geothermal heat pump installation to routine air conditioner service and maintenance, we have the tools, the people, and the products to provide you with an HVAC system that fits your lifestyle and budget. 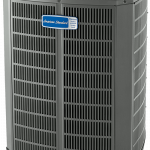 Planned service agreements are available to ensure proper maintenance of your heating and cooling system. Create a climate-controlled environment in your home or business with Blades HVAC Services, Inc.
Click Here to grade our quality of work and customer service on Angie’s List today!